Equally, however, the same is true for accountants. Fact is… many accountants don’t actually know what you need to know. Except we (the accountants) are the ones with the knowledge to impart- therefore, in my opinion, the onus is on us. What they don’t know, they don’t know. In this case, what they don’t know might be YOU. What is the result I am after? What are the Key Performance Indicators that measure the result? 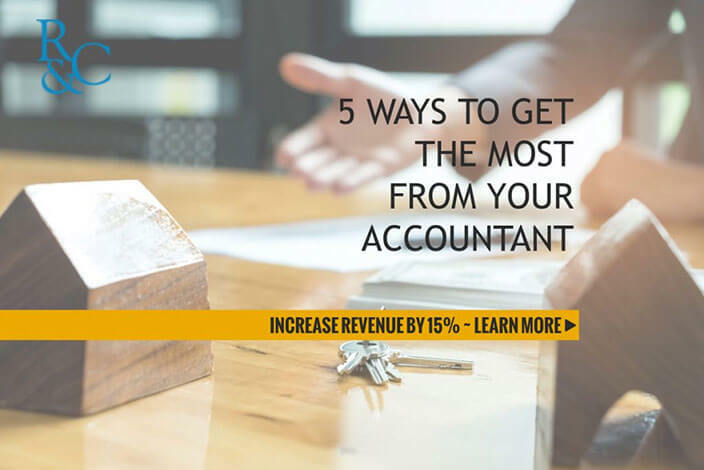 This article provides you the five key results that you’re after, in building the type of fruitful relationship with an accountant that I believe is necessary. I believe, having a great relationship with a great accountant, will significantly benefit your business. When you build a strong relationship with a great accountant, your accountant gets to know YOU. When your accountant knows you, they know what you need and want to know. In that way, every conversation with a great accountant is an opportunity to grow your business. Many clients, when they come to us, tell us that they don’t really understand what’s happening with their financial statements and tax returns. They don’t understand some of the things on the Profit & Loss and Balance Sheet. They see figures that look wrong to them. They don’t understand why they’re paying so much tax, and even if they should be paying that much tax. In my view, these are questions you should never be left asking. How can you assess your current position and past performance if you don’t understand your financial statements or they have potential errors? The result you are after is that your compliance (your financial statements and tax returns) are methodically discussed with you, so that you FULLY understand what’s going on in your business and life. You should have an Annual General Meeting (AGM) with your accountant annually to discuss the financial statements and income tax returns. Your accountant should not merely send your tax returns out to you for signing. It’s even worse if they send it with a letter that’s as confusing as the tax return itself. The KPI you’re measuring is, does your accountant meet with you to explain and discuss your financial statements and income tax return with you, in detail? While they’re at it, have they looked for other opportunities for you to better your business at the same time? Owning an enterprise comes with so many uncertainties. Uncertain outcomes can build stress in you personally and within your organisation. You should be seeking a relationship with your accountant that alleviates some of these uncertainties. There are three KPIs to tell whether your accountant is helping you alleviate uncertainty in your business. Is your accountant giving you fixed fees, or upfront pricing, so you can make an investment decision before committing to expenditure? A lot of accountants are still charging by the hour, at the end of the job. If this is your accountant, half the time, when you receive a bill from your accountant, you’re surprised by the size of it (or even that it was coming). We think this sort of uncertainty is unacceptable. You should know exactly what your fees are going to be before they start any work for you. When accountants charge by the hour, you’re afraid to pick up the phone. This is not conducive to a good relationship. Is your accountant encouraging you, or preparing a tax plan before the end of the financial year? Ideally, a tax plan is done between April and May of each year, before the end of financial year. The benefits of a tax plan are clear because it provides you with opportunities to save tax before the end of the financial year. However, I consider the biggest benefit of a tax plan is that you have a strong estimate of what your tax situation is, nearly 12 months before the tax is due. This is a fantastic planning. If you can spend 12 months saving for that tax, if you need to, it sure beats having your tax prepared a year later and having half a day to save that tax bill. Make sure your accountant wants to do a tax plan with you. Can your accountant facilitate a business plan for you? Have they offered? A business plan need not be a 100 page document. The problem with documents of that size is they are never reviewed or used to keep you accountable to your objectives. We use a One Page Plan which we work with our clients during a Planning Day to develop. They are constantly updated and referred to. They are a tool to keeping our clients accountable to doing what they say they will do. It also reduces uncertainty because you have a clear idea of what your strengths and weaknesses are. You can make strides towards taking opportunities and eliminating threats. It spends time working on your Purpose and Vision which, when you filter by these, assists in making decisions easy. Having systems and processes that are considered best practice means that you are gaining access to maximum efficiencies in your business. Put simply, innovation to create efficiency equals profit. A good accountant sees (and designs) systems and processes of hundreds of different clients in a multitude of industries. All that knowledge is applicable to you. We have access to a lot of information in relation to the latest in accounting systems and processes, that can literally save days of time and recordkeeping. Has your accountant encouraged you to move towards cloud accounting? The benefits of cloud accounting software, such as Xero, are clear. Most small and medium businesses should be making use of them. 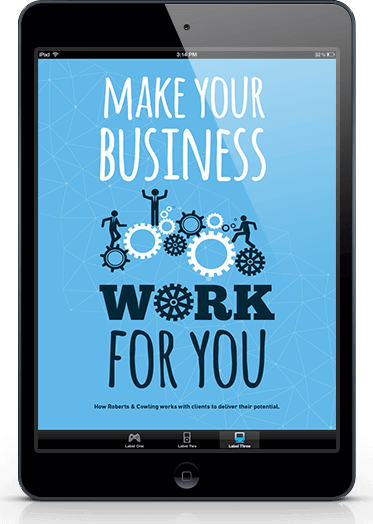 Has your accountant encouraged you with the use of the myriad of apps that either link to your accounting software, or just ease the burden of administration, systems and processes? There are literally hundreds of applications that can build real efficiencies. One example of that is, Receipt Bank. The ability to store receipts, and at the same time, push those receipts straight into your accounting software is a huge time saver, straight from your phone. So, your accountant should be giving you these tips on how to save time and energy through best practice systems and processes. When it comes to establishing a great relationship with a great accountant, access to knowledge is something that is vitally important. It’s no use having the best accountant in the world if you can’t contact them, or make use of that superior knowledge. As I said earlier, every conversation with a great accountant is an opportunity to grow your business. The KPI to know whether you have access to the great knowledge of your accountant is that emails or phone calls are free of charge. They should be encouraging you to make contact, rather than penalizing you for a five-minute phone call. Your accountant should be encouraging or instigating what we call nurturing meetings. Nurturing meetings are meetings that we organise, to see our clients on a monthly, quarterly or half yearly basis, depending on the client needs. These meetings are to do nothing other than discuss their business, what’s happening in their industry and/or how they could improve their business. Often, there’s no set structure to these meetings. If we can provide help or guidance, we will. You should be able to access referrals to experts from your accountant. They should have a great network of people that they refer to, whether it be lawyers, financial planners or mortgage brokers. They should have the ability to send you to the right people for you. It shouldn’t be about what commission they earn from those referrals. It should be about matching the skill set of the expert to you, as their client. You need your accountant to know the big picture so that you can live financial freedom. If your accountant is only looking at your business on a year by year basis, there is no strategy and no deliberate delivery aimed at the big picture. You know what you want to achieve. You know why you went into business, even if you can’t necessarily articulate it. Having an accountant that does not know these things cannot serve you. You NEED to have an accountant who knows what you want to achieve, and more importantly, why you want to achieve it. Even if it hasn’t been specifically articulated, at least, your accountant should have asked this question and you should have some general responses. Your accountant has provided advice around the idea of financial retirement. Financial retirement is distinct from retirement itself. It’s about choice, but that’s a whole different blog article altogether. Now you know what results you should be seeking from your accounting relationship and the KPIs which you can measure those results by, I would encourage you to examine your relationship to see where you can make those gains. 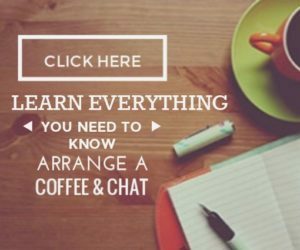 If your accountant is not meeting most of these things, then you are very likely to be not getting the advice you need, because your accountant does not know you. R&C have developed a system to ensure these outcomes, these results, and their subsequent KPIs are met with every one of our clients. Check out our Assess, Plan, Innovate, Grow…Live! methodology here. There are outrageous benefits to building a strong relationship with your accountant, particularly where your accountant wants to know YOU. It is a relationship that should be invested in and not written off.